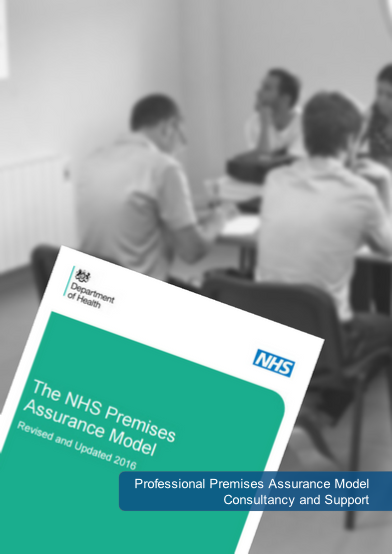 Utilising our front-line NHS Estates and Facilities experience, we provide cost effective and professional NHS Premises Assurance Model (PAM) consultancy, guidance and support to NHS Trusts wishing to develop and utilise the Department of Health Premises Assurance Model. To support fulfilment of Trust duties under the Health and Social Care Act 2008 (Regulated Activities) Regulations 2014 and the NHS Constitution pledge to provide services from a clean, safe and fit for purpose environment, we are firmly of the opinion that the NHS Premises Assurance Model is an appropriate tool to aid Trusts on a self assessment basis in gaining an holistic understanding of compliance and proactively action planning deficiencies in relation to compliance, premises safety and efficient use of their estate. It is of paramount importance in terms of patient experience, safety and public purse efficiency that the NHS Estate is appropriately maintained, safe and fit for purpose with assurances around compliance readily available to evidence such assertion both internally and to regulatory bodies such as the Care Quality Commission (CQC). Without robust, relevant and demonstrable evidence of assurance and governance it is extremely difficult to prove compliance and target investment where it is required to address deficiencies. A full PAM support package to include all of the above and / or ongoing consultative advice. If you are a Micad Internet Property Register User we are very well positioned to assist in the integration of the IPR to your PAM programme in relation to the storage and management of assurance documentation. We can also advise and support you in relation to a range of Estates and Facilities related issues. Contact us for further information regarding this or any of our other services. Malcolm is an NHS Senior Estates Manager with a broad Engineering background across NHS Acute Trusts built up from over 29 years practical experience. Through the years he has been an Authorised Person for most Healthcare engineering disciplines. He has been an Incorporated Engineer since 2003 and is a Fellow of the Institute of Healthcare Engineering and Estates Management, as well as a qualified Authorising Engineer. Since the inception of the Department of Health Premises Assurance Model, Malcolm has been actively involved in the preparation and collation of the requisite information with a number of Trusts and has assisted in the presentation of the information in the required format to allow gap analysis and strategic planning and is trained to ISO 9001:2015 standard for internal auditing. Malcolm leads on our Premises Assurance Model and other strategic and estates compliance related services.